It’s here! Summer! Perhaps not officially just yet but these warm months and longer days cheer my soul. I love summer! Let’s celebrate with a summer blog hop! Visiting from the beautiful summer bedroom at Town and Country Living? Welcome, friends! I’m so happy your here! I’m participating with an easy summer DIY: badminton birdie garland. 1. 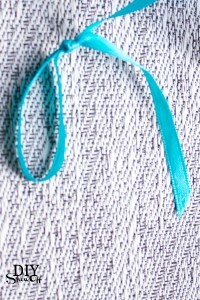 While length of ribbon is still attached to spool, create a loop (for hanging) and knot. 2. Remove caps off of all birdies (mine simply popped off). 3. Using the package (or ruler) determine distance between each birdie (starting from the knotted loop). 4. 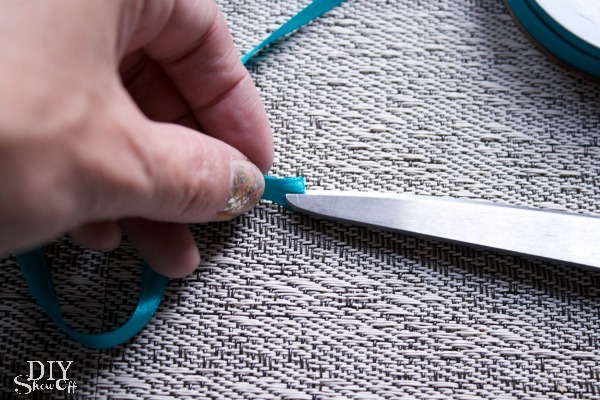 Fold ribbon and ‘snip’ with scissors your measured mark. Just a small snip will do. 5. Place snipped area of ribbon over ‘peg’ on birdie top. 7. Repeat steps 3-6 using all of your birdies. 8. Then simply measure same short ribbon distance one last time, add a few more inches. 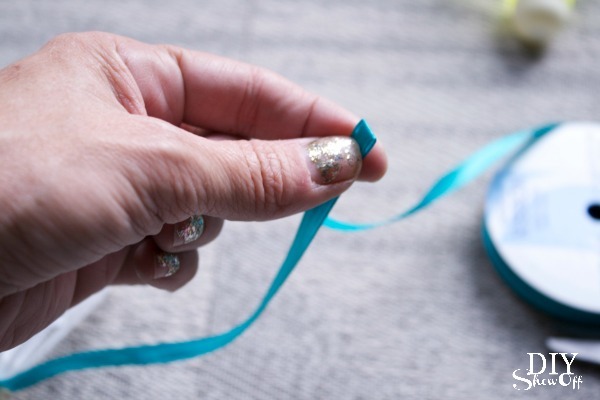 Cut ribbon, create a loop and knot for the end. Hang! Summer outdoor family game themed. 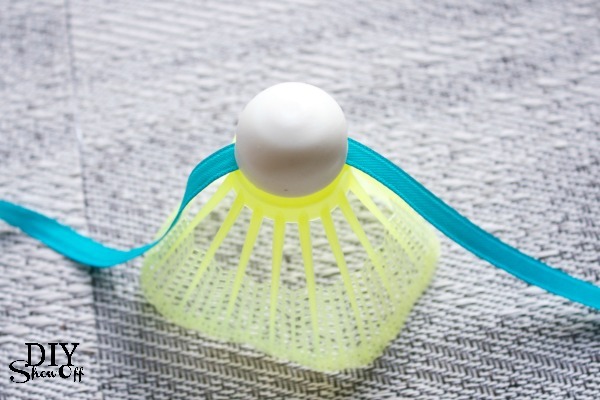 Super cute (easy and cheap too)! 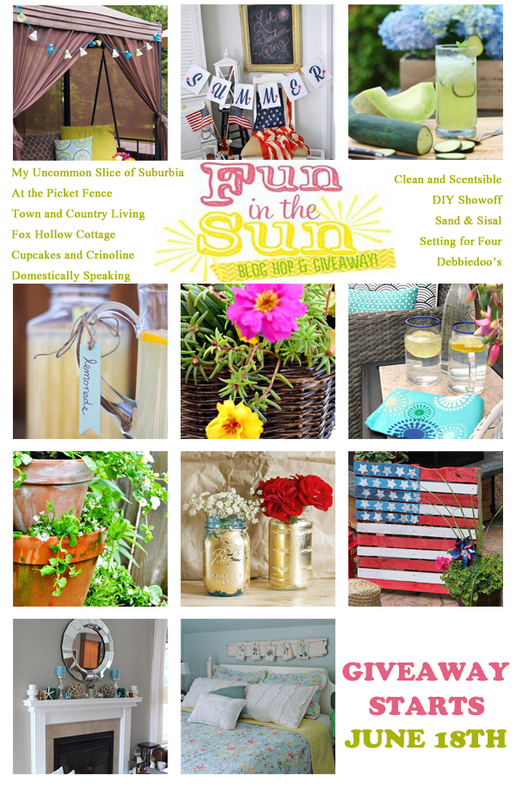 Follow along the entire Fun in the Sun series by heading over to At the Picket Fence for some outdoor inspiration and by visiting the links below for summer recipes, crafts, projects, decor and more! 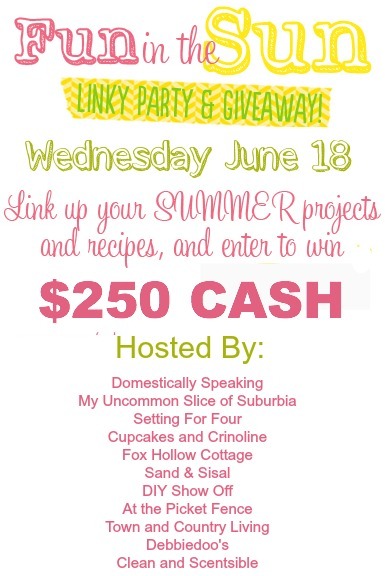 Don’t forget to come back tomorrow for a link up party and awesome cash giveaway! 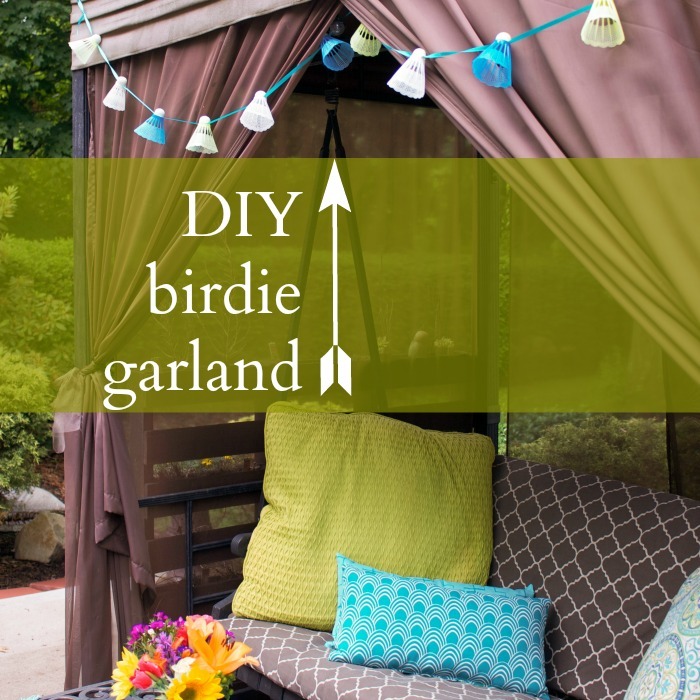 This entry was posted in Crafts, Decorating, Home Accents, home decor, Party, Patio Accents, Roeshel's Projects, Summer and tagged Crafts, DIY, garland, summer, Tutorial by Roeshel. Bookmark the permalink. I see that cat is bird hunting 😉 Mine are out stalking a hummingbird as I type. As if. hehe. 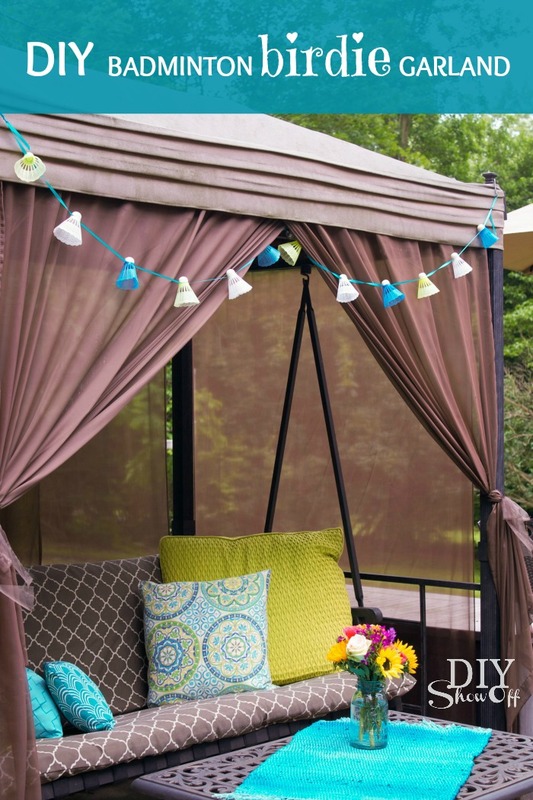 This is such a cute Summer project. I love the creative twist!! So cute and clever. Thank you for sharing. Those are really cute. 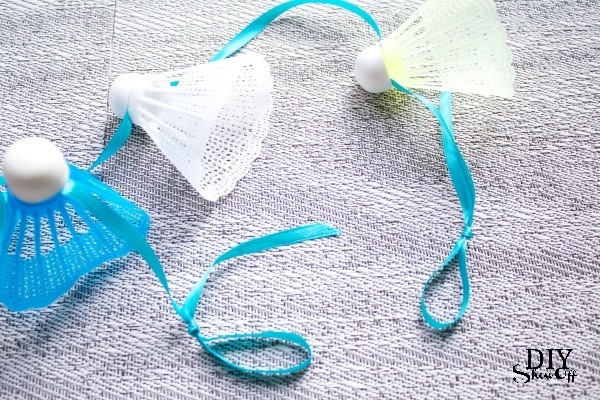 Would be adorable strung along a strand of christmas lights if you wanted to also use them at night! You are so clever Roshel! I love this! It will make anyone smile who sees it! Roeshel that garland is SO cute! What a clever decor idea for a summer party! OK that is sooooo stinkin’ cute!! What a clever idea Roeshel! I don’t know which is cuter … your birdie garland or your fluffy assistant! What a cute idea. 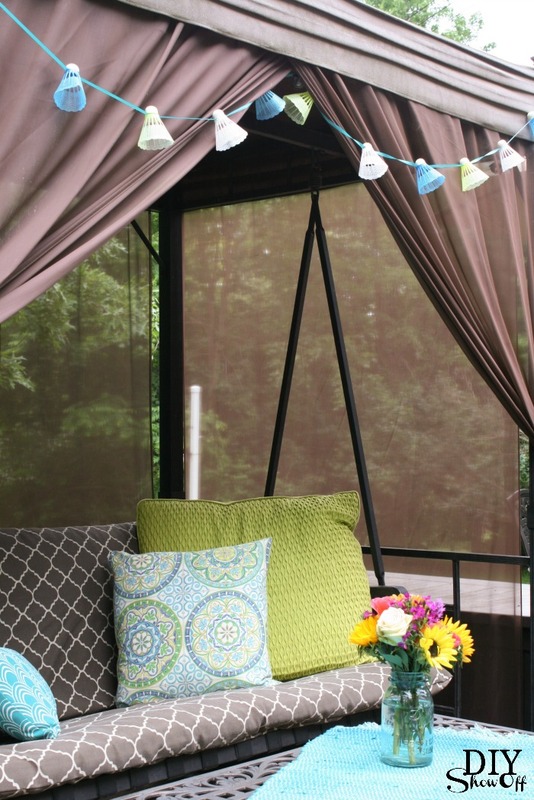 LOVE your cabana!! 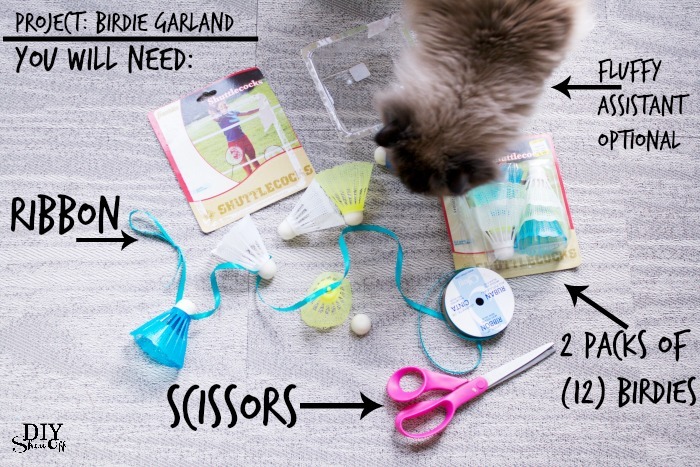 This is such a cute and clever idea, Roeshel, and I love your fluffy assistant! 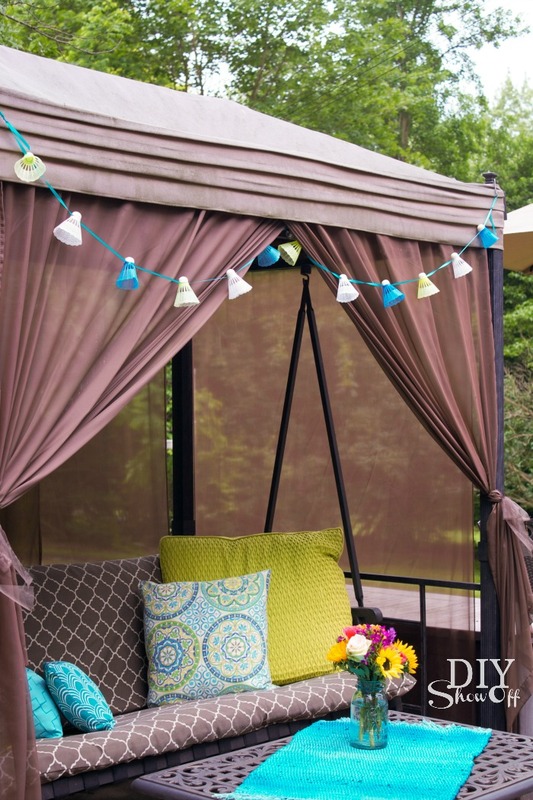 Just wanted to know if the swing pictured above came with that covering. It looks just like mine and the original topper became too old to keep and I love what you have done with that one! Hi Tina! 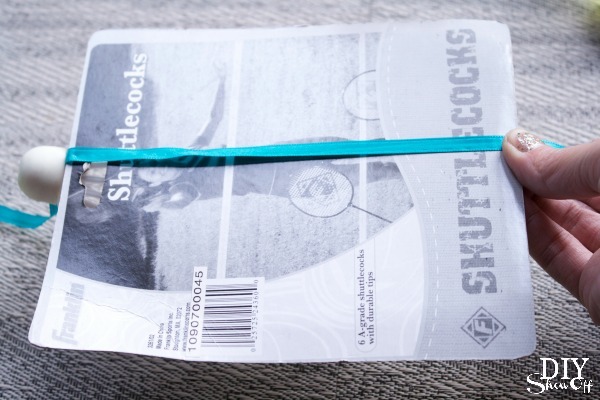 No, it’s a DIY project but fairly easy (and inexpensive too). 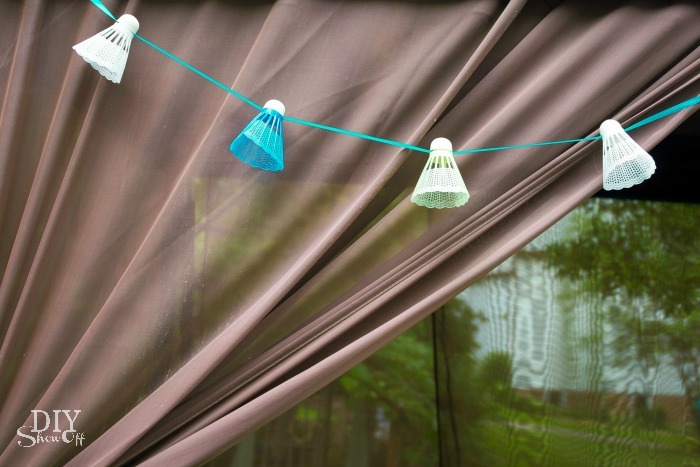 Here’s the link: http://diyshowoff.com/2013/05/06/easy-diy-patio-swing-drapes/ Hope that helps! Oh – mine does still have the original topper though. Sorry, I was thinking about the drapes that I added and the slipcover. It did get a makeover but the very top canvas is still the original.